For a few weeks, New York is in full bloom with the prettiest pink cherry blossom trees. I was so excited to be a small part of the Brides in Bloom photo shoot organized this year by Mekina Saylor. 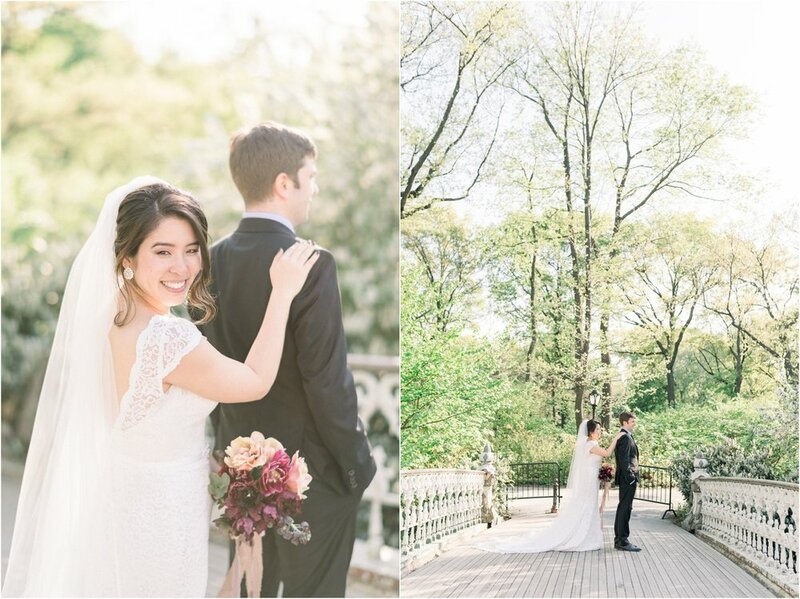 I got to photograph this beautiful bride and groom right in Central Park in NYC! An amazing team came together to supply us with perfect hair, amazing makeup, drool worthy gowns and florals and the best part is that the bride is a dear friend and fellow photographer! Yumi & Eric are getting married in October & isn't she one of the prettiest brides you've ever seen?! I loved exploring the park with these two! 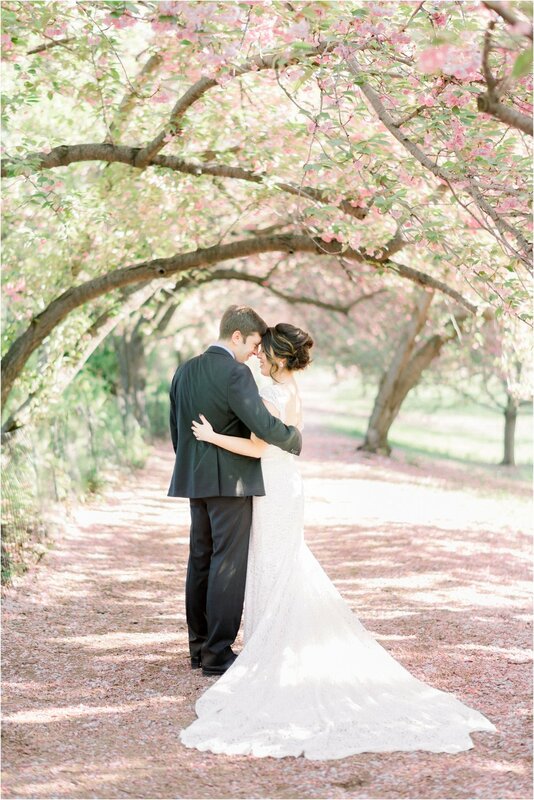 They shared the sweetest first look right on the bridge, and snuggled under the cherry blossom trees. Of course no Central Park wedding would be complete without couples portraits on Bow Bridge and Bethesda Terrace.